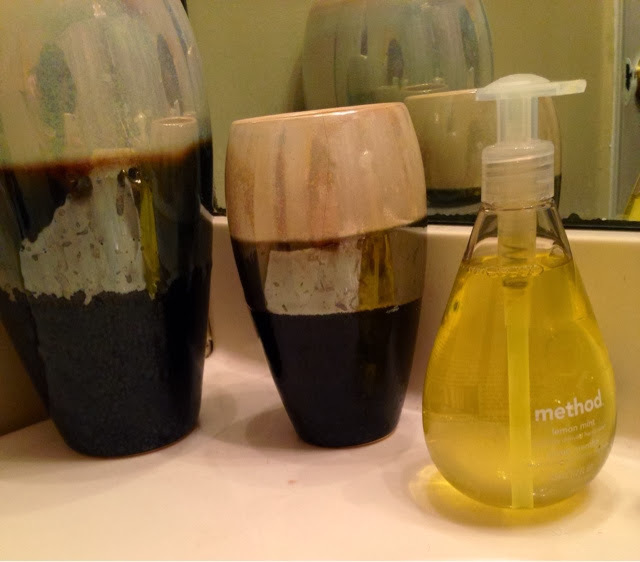 as the wine cork turns: bathroom makeover! 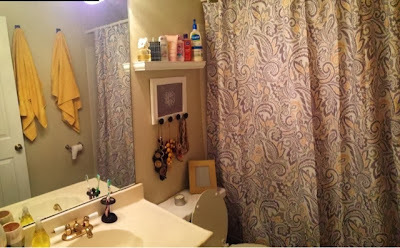 my first project in the new house was the bathroom. and you’re about to see why after you see lee’s decor prior. 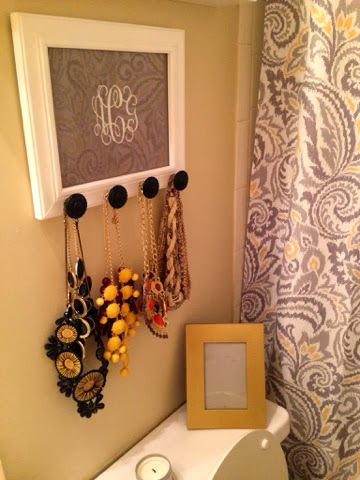 a couple of weeks ago, he hung a white shelf we snagged from lowe’s and my gray and white monogrammed necklace holder. 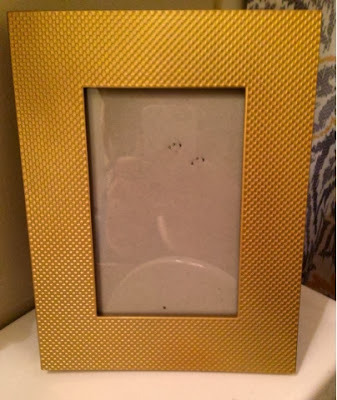 last night when looking for shower curtains to match what i already had, i ended up falling in love with this dark gray, light gray, yellow, and white little number and knew it would go well with holder nicely. other essentials to match were a dark gray bath rug, bright yellow towels (held by super inexpensive adhesive hooks), an off-yellow/gold picture frame (which i still have yet to get a picture – i’m doing a black and white one) and i even found hand soap that matched. the whole project only cost me a little under $70.00! talk about a steal. 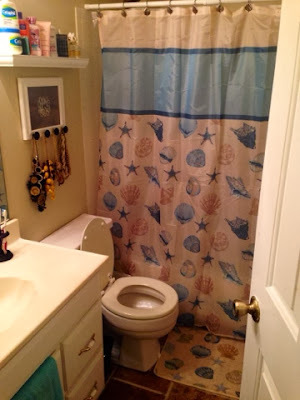 so backstory about this beach decor – at lee’s old place about 4 months ago, the landlord came in and re-did his bathroom so he thought as a surprise to me, he would go buy new shower curtain and matching accessories. he was so excited that it was precious. with his matching robin’s egg blue towels and toilet rugs that both had seashells, i just smiled. 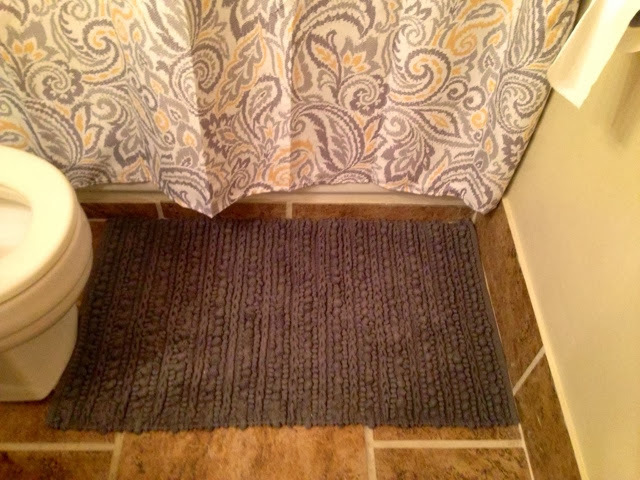 these worked at the new place until now, but i knew i eventually wanted it to have a facelift. 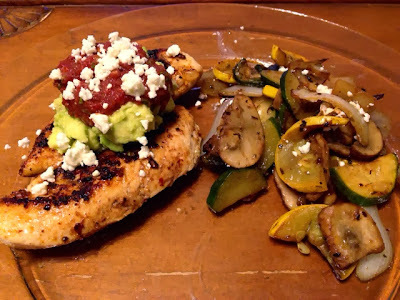 after a successful bathroom project, we sat down and enjoyed this lovely meal – pan-cooked chicken topped with avocado, salsa and a sprinkle of feta (don’t tell the paleo gods) with a side of grilled zucchini, squash, mushrooms, and onion. 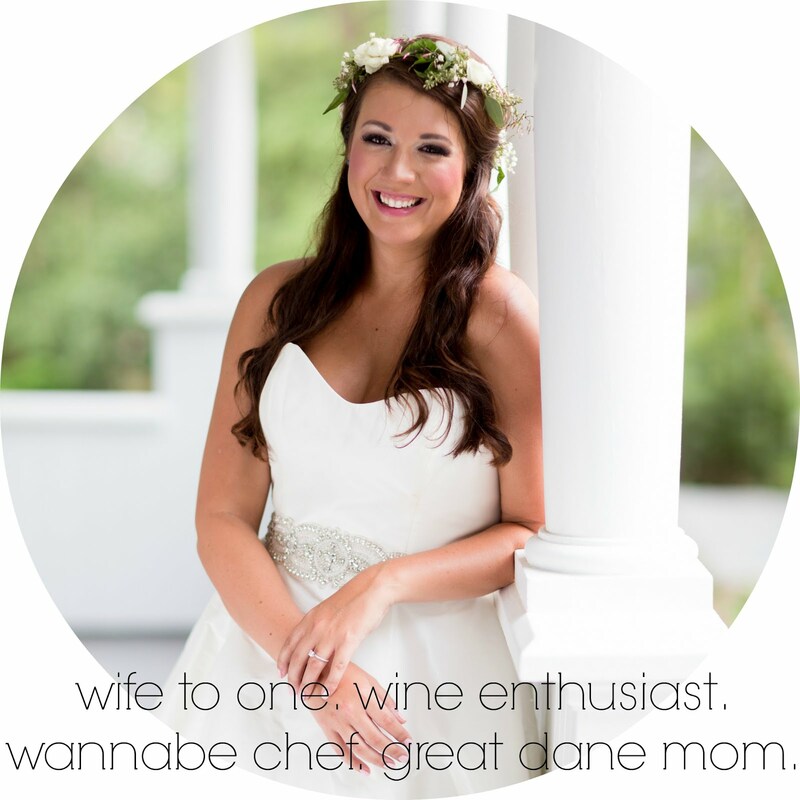 if anyone knows any cool, inexpensive places that sells decor – throw ideas my way! 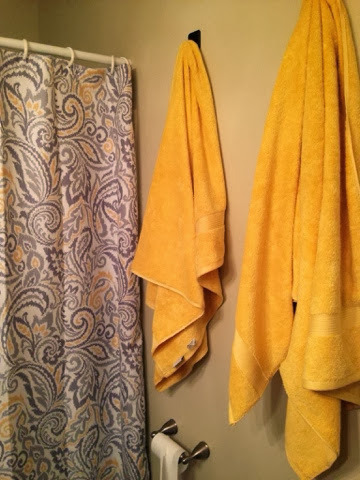 the bedroom is next. i would say happy hump day, but every time someone says that i now want to punch them in the face. so happy “½ through your work week” day!